Occasionally, you have to protect people from themselves. Even those with the best of intentions can mess things up so badly that it can jeopardize what they are trying to accomplish. In the nonprofit world, there are best practices, good practices and acceptable practices…and, really, really bad practices that will cause your organization, its board, donors and beneficiaries headaches galore. 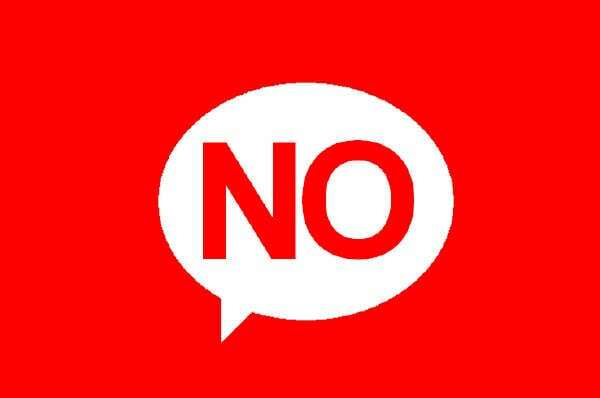 This week, we are going to explore the Dirty (Half) Dozen Nonprofit No-Nos, in no particular order. We will limit our discussion to 501(c)(3) nonprofits. 1. Dictatorships. If you want to be your own boss and run the show as a benevolent dictator, then by all means, go start a business. 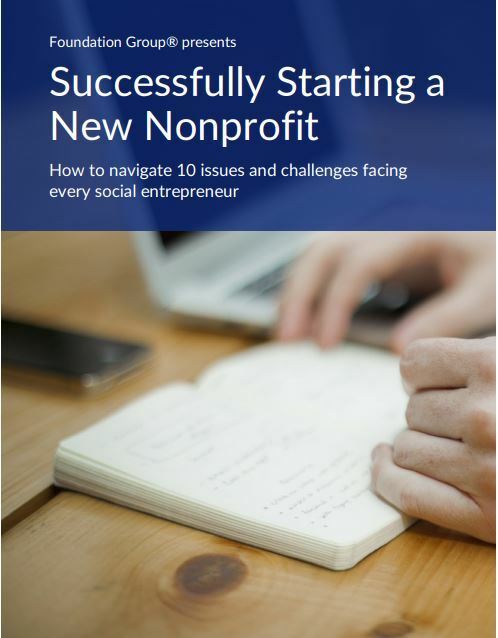 Just don’t start a nonprofit organization. 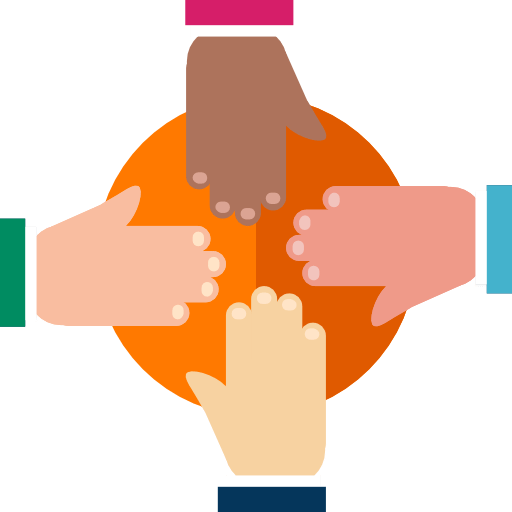 What many people fail to understand before they establish a 501(c)(3) organization is that nonprofits do not have shareholders, i.e., owners…only stakeholders. Stakeholders can be defined as an organization’s board of directors, its members and its beneficiaries. No one can legally assume ultimate control. In fact, the IRS requires tax-exempt organizations to be structured such that control rests within a group of individuals. This protects everyone involved. Many times we’ve seen placeholder boards who basically rubber-stamp every decision made by a dictatorially-inclined president or executive director. That does everyone a disservice. Even worse, the IRS will hold all the leaders accountable for the governance and management of the organization, not just the dictator. 2. Inurement. Inurement is a fancy IRS word for insiders unfairly benefitting from the assets, resources or activities of the nonprofit they serve. Sometimes this is overt misappropriation by the leaders of the organization. These are the charity leaders you see fined, indicted or dragged before Congress. More often, though, inurement is a product of not understanding the limits of conflict of interest. For example, suppose a 501(c)(3) has 5 members on its board of directors…and, 3 of those board members are paid employees of the organization. Not only is there a conflict of interest, this situation rises to the level of inurement because the board cannot form a quorum of members who aren’t paid. Therefore, it is impossible to establish compensation at arm’s-length. Even if the salaries are reasonable, the situation is indefensible since each paid board member has a motive to scratch the others’ backs. Inurement can take many other forms…from using an organization’s vehicle for personal use to buying lunches on the company credit card. 3. Private benefit. Private benefit is the kid-brother of inurement. It is best understood as any activity that benefits an individual (or company) who is not a part of the organization’s charitable beneficiaries. This can be overt, such giving vendor contracts to an insider’s business. It can also be subtle, such as endorsing any for-profit company in exchange for financial support. 4. Political activity. We talked about this during the recent presidential campaign, but it’s worth mentioning again. 501(c)(3) organizations are expressly prohibited from intervening in a campaign for public office. They cannot endorse or oppose any candidates. They can, under limited and tightly-controlled circumstances, lobby for legislative purposes. If your organization’s goals require any substantial political activity, it should consider 501(c)(4) status. For more information on the IRS’s perspective, go here. 5. Improper recordkeeping. This one is a biggie. Your organization simply must keep accurate records. Whether it is the books, contributor records, or board meeting minutes, you cannot cut corners. The IRS will hold your organization, and its leaders, responsible for complete and accurate records. The last thing you want is your board members personally penalized for a lack due diligence. 6. Failure to file required reports. The IRS requires all tax-exempt organizations, including 501(c)(3)s, to file annual Form 990. For those 501(c)(3) public charities with more than $25,000 in average annual gross revenue (and all private foundations), penalties for late filing add up at a rate of $20 per day up to a maximum of $10,000 or 5% of the gross receipts (whichever is less). Failure to file for three consecutive years will result in the automatic revocation of the organization’s tax-exempt status. Most states require annual reports, as well. Whether corporate annual reports, or charitable solicitations reporting, you must stay current. It is a lot to keep up with, but it is a lot better than being fined, or worse, shut down. For more information on Form 990 requirements, see our previous blog articles or our Form 990 services page. This list is by no means exhaustive. We could easily make it the dirty 3 dozen. Knowing what your organization is responsible for and making sure it stays compliant helps to ensure that it will be around to serve your community in the years to come. I’m somewhat involved with my local humane society, long story short: the board of directors is a dud. They had the President and VP, and treasurer members recently leave – and have decided not to declare replacements. The manager left and the new management, and the board themselves are unaccountable for the conditions and lack of process enforcement for the non profit (Public Charity). What can be done to ensue accountability? This kind of thing is always tough to deal with from the outside, but there are things you can do. Attend a board meeting and address your concern with what remains of the board. Alternatively, you could attempt to meet with one of the board members privately. If you get nowhere with this, your options become rather limited. Rally the support of other stakeholders if you care enough. 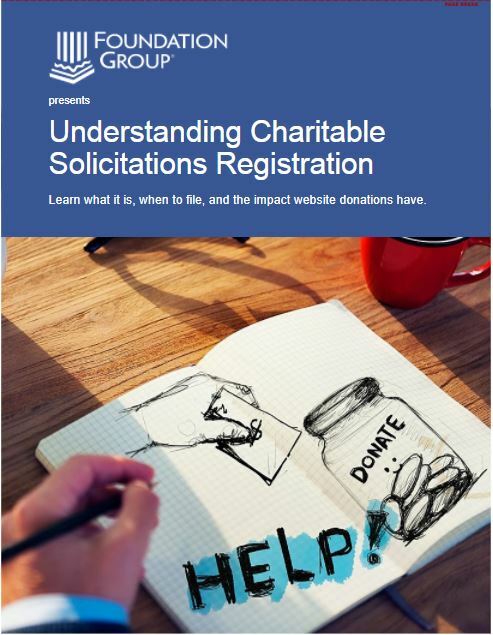 If there are concerns of noncompliance with state or federal nonprofit regulations, you can always bring attention to that by contacting appropriate agencies. Keep in mind there are may be nasty consequences to turning over those rocks. Sometimes that’s a good thing; sometimes it’s not. We have a band boosters club at our high school that is a 501c3. We have many fundraisers during the year. Some are general like spaghetti dinners, movie nights or bake sales at the school. Others, are individual ones. These could be the students selling Mary Kay, or Joe Corbis pizzas. My question is, When we hold a general fundraiser like our spaghetti night, it is run by the whole band coming together and the money raised goes into the general fund( 100 members raise $100, then the cost of the trip is lowered by $1 each). When we run a fundraiser such as Mary Kay, are we allowed to take the money earned and give it specifically to the student who earned it( 100 members, 1 participates, this student earns $100, can this student have the trip cost lowered by $100 or does each student get the cost lowered by $1). All the fundraising goes toward the band trip at the end of the school year. Great question, Tom. This issue comes up frequently and the answer surprises many. The IRS requires that all monies raised go to the benefit of everyone equally, not the individual. In fact, the organization cannot require a student to assist in fundraising, even though the efforts of others may help offset his cost. It can seem unfair, but the IRS is unyielding on this one. In item #1 you stated that “the IRS requires tax-exempt organizations to be structured such that control rests within a group of individuals.” I have been working on filling out the necessary paperwork and nowhere can I find where the IRS requires such a structure. Can you direct me to a location on the IRS website or a page from form 1023, please? Thank you! This is one the classic situations where you have to interpret a broad rule into specifics. The IRS requires 501c3 public charities to operate governmentally at arms-length. This requires a board of directors who can form a quorum of individuals without a stake in the outcome of decisions. In other words, a majority of the board cannot be related by blood, marriage or outside business ownership…otherwise there is no protection against self-dealing. I recommend reading IRS Publication 557 for a better, overall look at some of these issues. I am working with a non-profit corporation that has one main donor, who is also the chairman of the board. He makes ALL decisions, and if anyone challenges a decision, he threatens to pull the financing, and the organization would effectively close. How can other stakeholders challenge him without ruining the organization? Your organization may already be ruined. This is the very definition of a “dictator”…and it is profoundly unhealthy. If the other board members are sympathetic to the situation, they can certainly stand up, assert their authority and take control of the situation. Your dictator will either get in line or leave. Either way, one of your first orders of business is cultivating a good donor base. Sounds grim…I wish you luck. OK…too complex to answer in this format. There is an obvious conflict-of-interest involved. The question is whether or not is rises to the level of private benefit, what the IRS calls inurement. If the board member owns the property, but the organization is using it for its programs, it is usually fine for the organization to pay for wear and tear, utilities and other maintenance directly attributable to that use. What the organization cannot due is make improvements to the property that directly benefit the owner by increasing the value of the property. I recommend you contact our office and schedule a consulting appointment with one of our team members to explore this more in depth. This brings up a question I have been trying to get an answer for. Our 501(c)(3) has members who vote for officers and directors. Members receive a newsletter, an annual membership directory, and some degree of liability coverage through our general liability insurance. These cost of providing these benefits roughly equals the members’ membership dues. However, a recent article in our newsletter says that the dues are entirely tax deductible. Is this true? More information: The newsletter contains information tailored to the members’ interest, is not available to nonmembers, and is not a means of soliciting charitable contributions from the public or promoting the organization’s charitable programs to the public. The general rule is this: if membership includes benefits, dues are not deductible. However, if a sizable discrepancy exists between the dues amount and the benefit, then the amount in excess of the benefit is usually considered deductible. Another situation exists when the amount of annual dues is $75 or less and member benefits can be accessed regularly. In this case, the IRS disregards the benefit and allows the entire amount to be considered a charitable contribution. Check out Revenue Ruling 68-432 for more information on larger dues amounts and deductibility. I hope that helps. I don’t understand what you mean by “accessed regularly”. The benefits are received monthly (newsletters) and annually (membership directory) by the members. They are not available to the general public. The members’ annual dues are $25, but we have a significant number of life members (who paid several years’ dues in advance, and continue to receive the newsletters and directories). All members are voting members. The cost of producing and mailing the newsletters and directories is a little over 90% of the dues collected. The liability insurance costs another 12% of the dues collected, but I don’t know the extent of liability coverage for the individual members (if any). So, how much of the members’ dues are “in excess of the benefit”? Your example would be a case where the dues are so low, the IRS would disregard the benefit and allow the dues to be deductible to the donor. I am selling necklaces with the profits being donated to charity, so I am considering a private foundation. I have designed the necklaces, and having them manufactured. I am looking at building an amount into the cost of the necklaces to cover my design time and fee. If I receive anything over my hard costs and time, is this considered inurement? It seems reasonable that there would not be inurement if my hard costs and time are covered, with no profits. Unfortunately, this does not sound like something that will pass muster. What you are describing is really what the IRS calls unrelated business income (UBI). The fact that all profits go to charity does not make the activity itself a tax-exempt program. For a better understanding of this issue, read our article on UBI. Good luck! What about a 3 member board of trustees that have set up dictator control of a religious org. By altering the original charter with amendments that do not allow “director” of the org, nor any of the membership, make proposals without their prior consent and approval and who have not allowed a business meeting with membership for over two years, and does not allow the director to moderate the business or to have a vote on the dictator board of trustees? Without knowing more about your particular situation, it is hard to say. If your organization is set up with members having no governmental control, then the board may be operating within its rights, though maybe not to the membership’s desires. If that is the case, your options are limited. You may wish to look at the bylaws to see if the membership has any rights of governance, such as nomination of board members. Look also at the length of the board terms. We’ve seen cases where terms were expired, but the board members never budged…and no one ever held them accountable. The Dirty Dozen #3) Can the nonprofit venture with a for profit by bringing under it’s exemption a day-care which is operated by the nonprofit but not owned by the nonprofit. Separate locations, financial support for the nonprofit. Probably not. While I don’t have all the details of your situation, this sounds like an arrangement that provides for direct, financial benefit to the for-profit…something a tax-exempt charity cannot do. Not only that, the for-profit’s activities could never “come under” the nonprofit’s tax exemption. With reference to the “benevolent dictator”, I have a question for you. I have an idea that would require donations to pay the salaries of the people who accomplish the goals of the organization. Lets say we help the homeless, and I need to pay a team of 10 who work with the homeless. I have my ideas and plans to help them, and would want to lead the organization in this effort. Am I not still looking at becoming a non-profit? If not, can I still receive grants and donations to pay the 10 people? Should I become a standard company? There is a big difference between being a dictator and being the founder/president/idea person. The latter is perfectly fine, so long as you realize that from a governance perspective (board of directors), yours is but one man, one voice, one vote…same as every other member of the board. Most nonprofits start out as an idea in the head of a person. To do this as a charity (the only way you can receive grants and/or donations), you need to recruit a board of directors who are like-minded (not yes-men) concerning helping the homeless. Collectively you will govern the organization. There is no problem paying staff members…just remember you cannot employ the majority of your board.